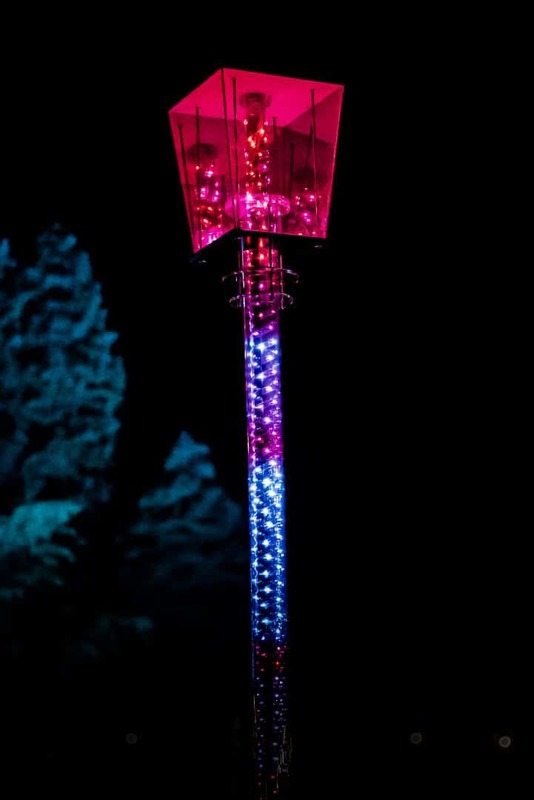 Old fashioned lamp posts create a futuristic sound and light show. 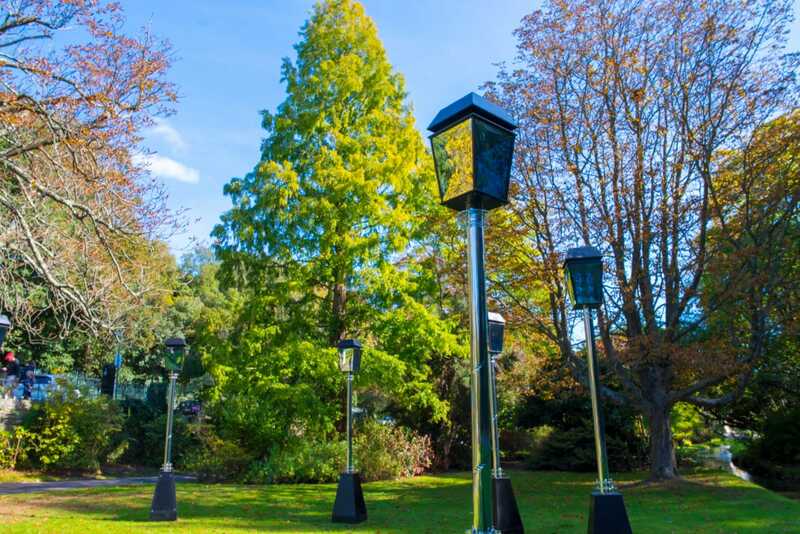 The Lucid Lanterns are a group of traditional ornate lamp posts, with a difference. 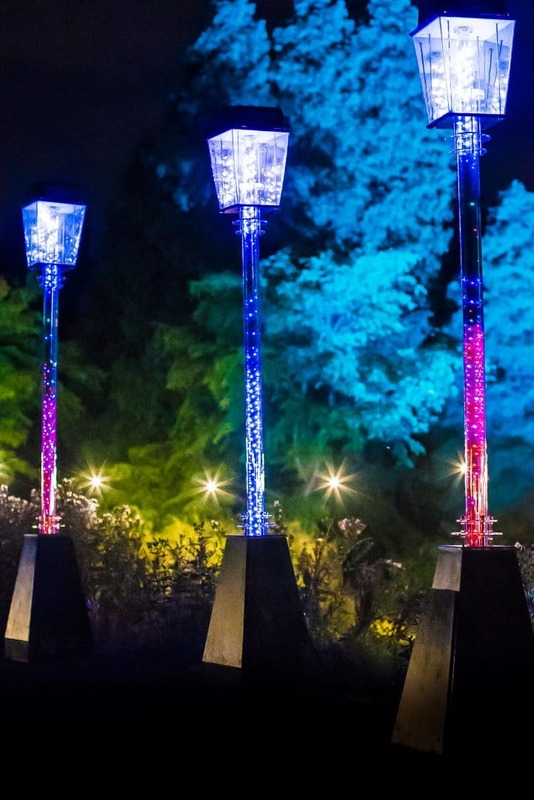 As darkness falls, they come to life to create a dazzling multi-coloured outdoor sound and light show. 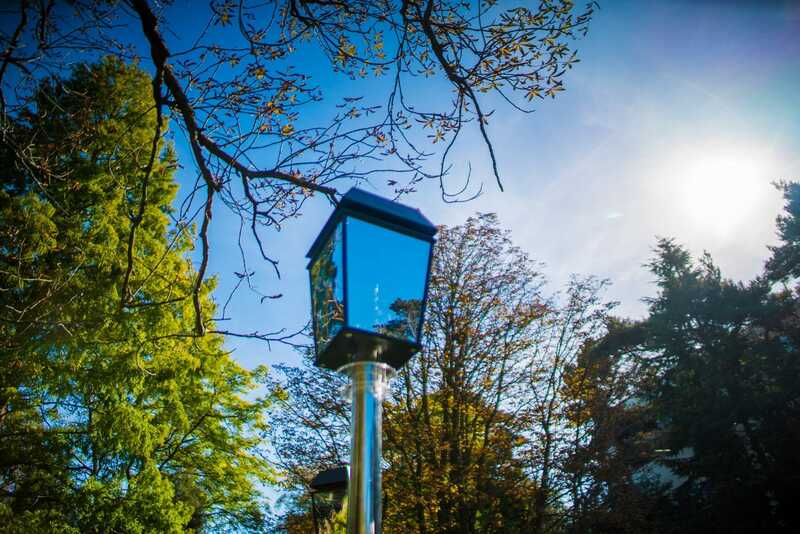 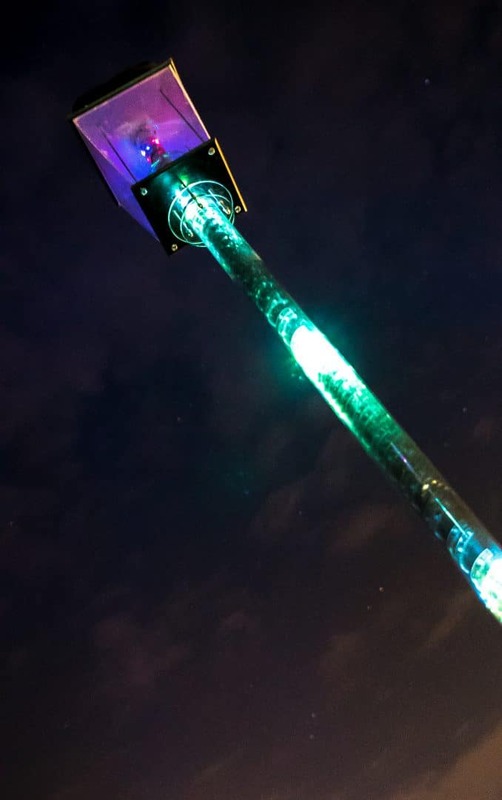 Each 2.5m metre high Lucid Lantern contains 150 individually controlled lights and a high powered speaker. 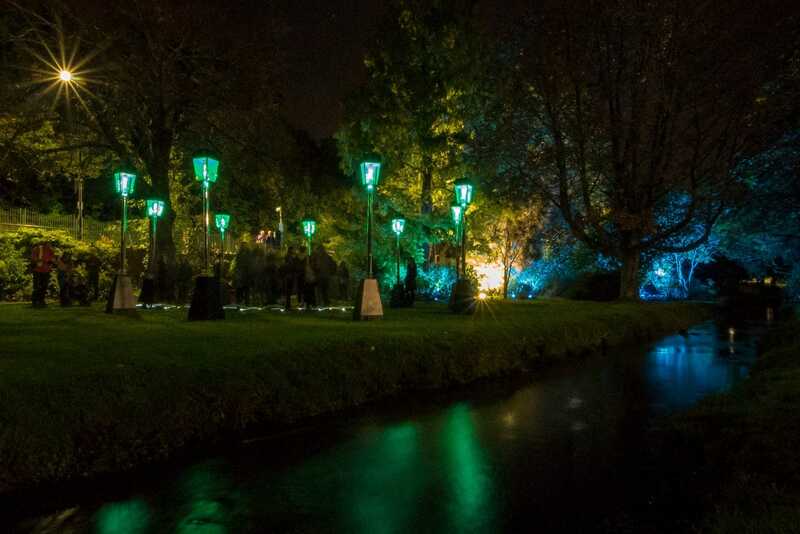 The lanterns can perform individually or come together for a brilliant synchronised surround sound and light experience. 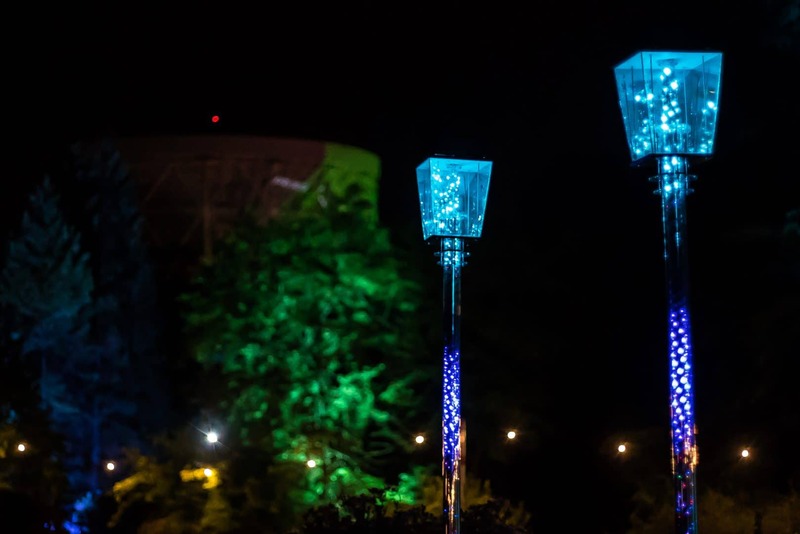 The lanterns were shown in a variety of outdoor spaces with customised, site-specific sound design at Bluedot Festival 2018, Kendal Calling Festival 2018, Bournemouth Arts by the Sea Festival 2018 and Christmas at Bedgebury 2018 and are available for touring.